There are very few books that make me visibly excited to go through with my kids. 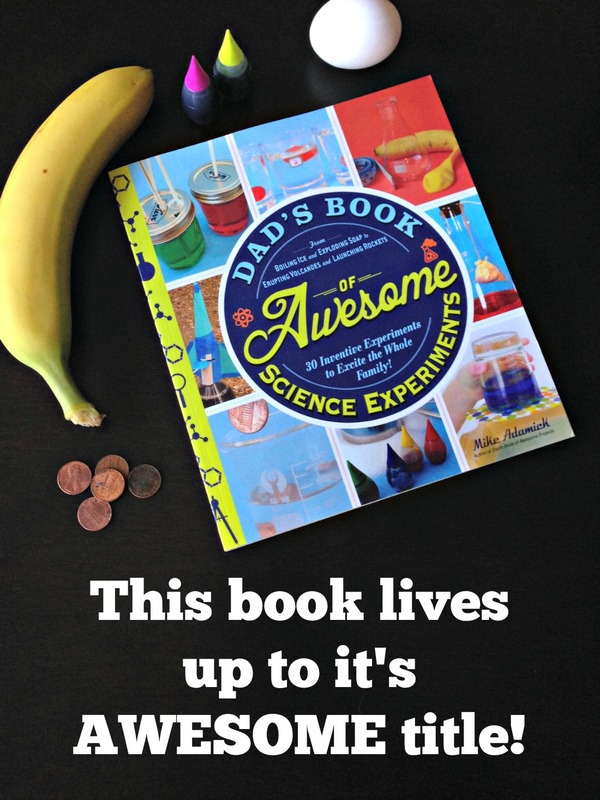 When I received Mike Adamick's book, Dad's Book of Awesome Science Experiments, it made that list. In fact my kids have even leafed through this book when they see it sitting on the end table. They want to know when we can do more of the experiments that Adamick introduces. The author shows even the most novice science dad how to pull of some of the coolest experiments around. From soap clouds, to acid rain, to fingerprint monsters this book is full of fun activities to try. 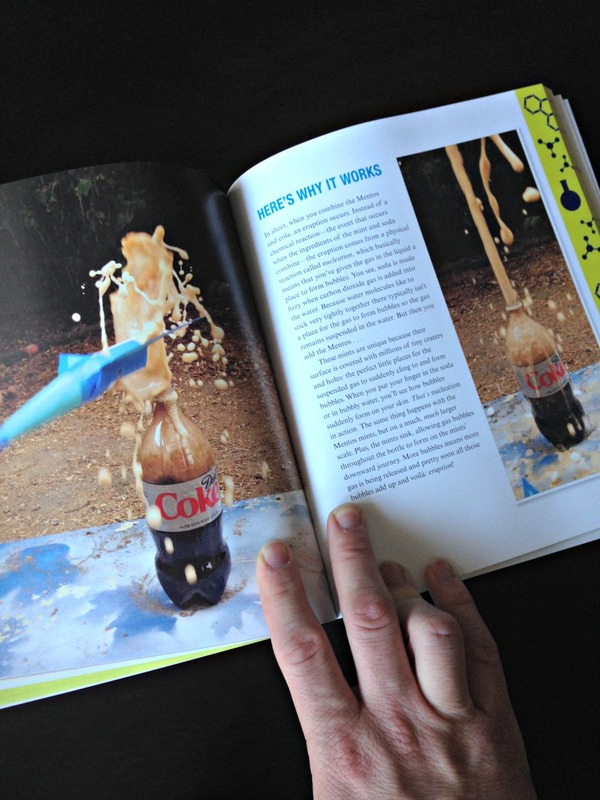 My favorite chapter is the Mentos and Coke Rocket. This experiment is full of tension, sudden explosions, and messiness. Your kids will be talking about it for months. I did this experiment and it requires little supplies or prep but the fun level is off the charts. When we did this, we experimented with different kinds of sodas and different amounts of mentos. Adamick hits it right on the nose when he states that Diet Coke and a large amount of Mentos are best. I am warning you, this can shoot super high and create a huge mess. Have tarps on hand or do it in a park area where the mess won't matter or hurt anything. The other fantastic part about this book is how it incorporates science into every experiment. Parents can either read it directly to their kids, or read the material themselves and talk about it with them after. It doesn't matter how you do it, just that you do. It creates fun learning moments where the whole family can take something away from a simple activity. The parts of the book are broken into sections so you can choose from Chemistry, Biology, Physics, Planet Earth, or the Human Body. There are 30 experiments in all so you won't run out anytime soon. I like how Adamick makes the science easy to read and understand. I also like how each chapter is relatively short. You wont have to spend a ton of time reading in order to pull off each experiment. The only challenge you might run into is with supplies. All of the supplies are easy to get, but for some experiments you might not have them readily available at your house. For example, "Hole-y Walls" calls for iodine. You can get this easily but many people don't have it on the shelf. This is a small thing to be picky on but you just need to know that some experiments will need a little bit more planning to pull off. 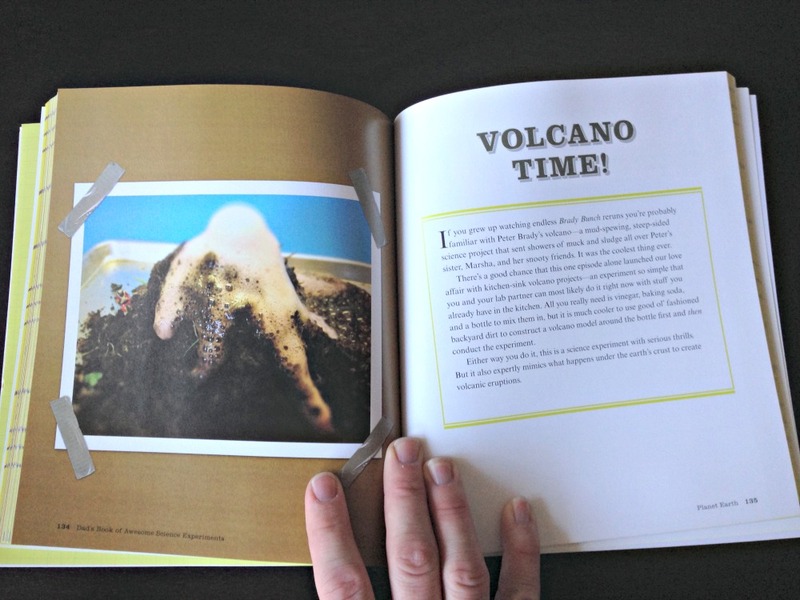 Overall the book is excellent for making science fun and creating memories for the whole family. I would highly recommend parents, grandparents, and everyone else pick up this book. You never know when it will come in handy. It retails for $13 online at Amazon. That is a steal for all the fun and knowledge you get with this book. You can find out more about the author and this book at www.mikeadamick.com. Disclosure: Adam's Media sent me their product to review. I have received no other compensation for this post and the opinions I’m expressing here are solely my own.